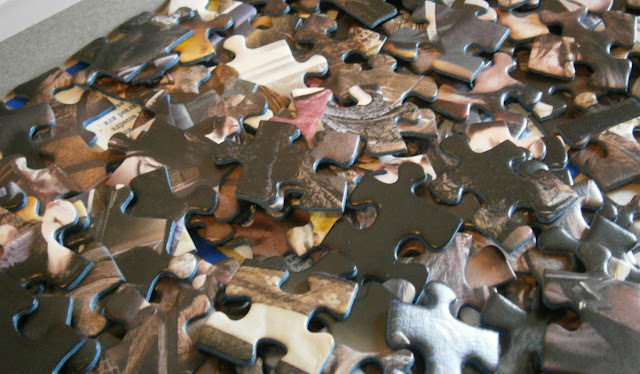 Being part of the Ravensburger puzzle club this year has seen us receiving some really lovely jigsaw puzzles and has provided us with a new puzzle each month to try out really igniting the childrens love for puzzles. 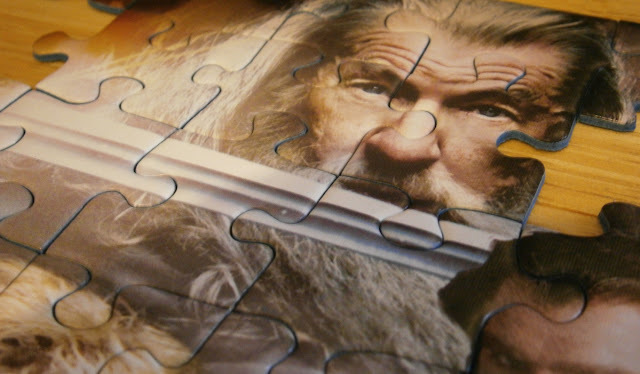 This month we have been sent The Hobbit Puzzle; A middle earth adventure, which is official merchandise to match the new film released yesterday 14th December 2012. I must admit I am abit in the dark about the new film, but have heard it mentioned a few times, so I went off to have a google and find out what the fuss is about. The Hobbit, an unexpected journey, is the first film in a new trilogy from J.R.R Tolkien set in the Middle Earth some 60 years before Lord of the Rings following the journey of the title character Bilbo Baggins, the Hobbit. The film sees him partaking on an adventure through Middle Earth to try to protect the Dwarf Kingdom, as they battle Orcs, Sourcers, Deadly Wargs and of course meet goblins, one of which is Gollum and changes Bilbos life forever. Now we are big fans of Lord of the Rings and my eldest loves all three films so the characters are already familiar to us. With the popularity of Lord of the Rings to go by I am sure this trilogy following The Hobbit will be hugely popular. 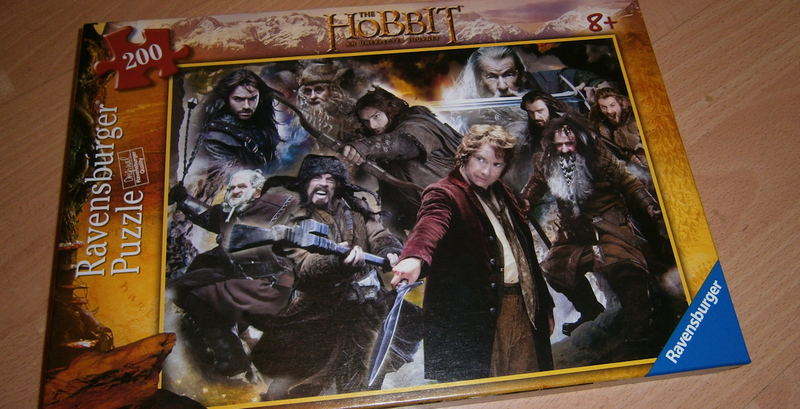 The Ravensburger Hobbit Jigsaw puzzle has a interesting picture showcasing some of the characters from the new film, the familiar faces include Gandalf the Grey and Bilbo Baggins amongst others all in action packed poses ready for battle. The puzzle pieces are great quality yet because of the detail in the picture they are all rather dark and it is therefore a slightly more difficult puzzle to complete than other 200 piece puzzles in the Ravensburger range and took Jake, my 10 year old, a few hours to complete spread over a couple of days. With the almost guaranteed popularity of the new trilogy I am sure any fan would appreciate this Jigsaw, even if you have no intentions of going to see the films in the cinema this puzzle would be a warm welcome to alot of young teens who are already fans of Lord of the Rings. 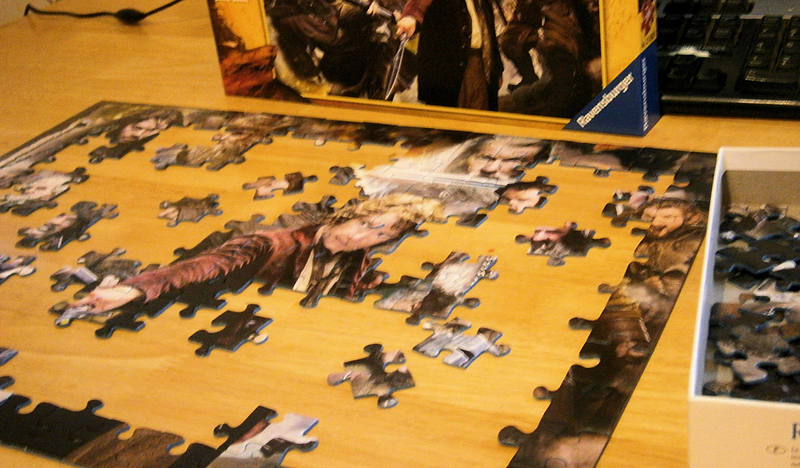 Look out for this puzzle at Amazon now priced around £8 Which is a great price for this popular themed puzzle.